Right now, we know just a few things about this project. One is that Aaron Guzikowski, who wrote the underrated PRISONERS, is handling the script. The other is that it will follow a remake of THE MUMMY that, as confirmed by The Daily Mail, will star Russell Crowe and Tom Cruise. So what does that tell us? Probably that Universal will be swinging for the fences when it comes to casting the new Larry Talbot/Wolf Man. But at this stage, there doesn’t appear to be any concrete information about who’s being considered. So let’s give it a whirl, shall we? Here are some headline actors that seem perfect for this role. 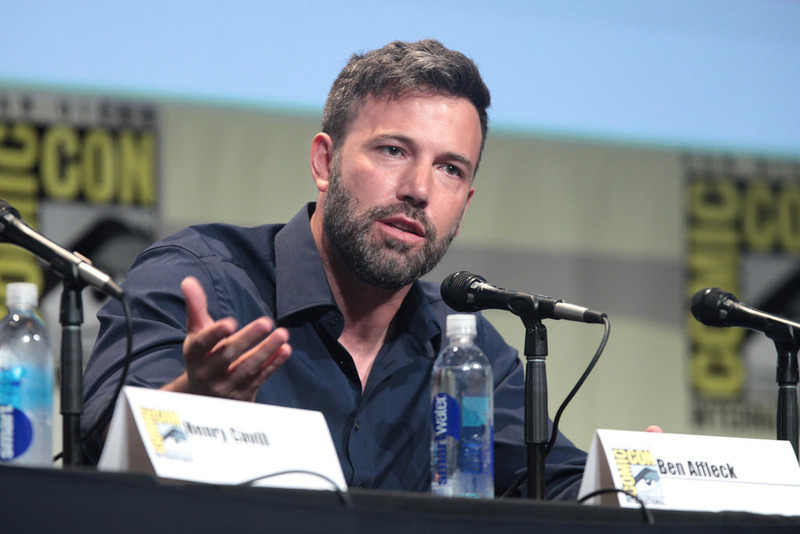 Mr. Affleck is due a successful franchise. He recently played Batman in the widely panned, hastily constructed disaster of an ensemble DC hero flick BATMAN V. SUPERMAN: DAWN OF JUSTICE, and while he's directing his own Batman follow-up, the writing seems to be on the wall for this era of DC film. Previously, he starred as Matt Murdock/Daredevil in a film that never lived up to its franchise potential but may have been more successful than some people recall. The reviews weren't that harsh for DAREDEVIL, and it did leave a little bit of a legacy. There was a sequel/spin-off (ELEKTRA), and there's actually still a game based on the character, situated among a slew of licensed hero games in Gala's jackpots. It can appear as if this game, a Daredevil-themed slot reel, is based on the recent Netflix show given that other licensed material is more recent, but, in fact, its roots are in the Affleck movie. Even with mild success in that film, Affleck was left out of the greater Marvel Cinematic Universe as it later developed. He's a solid and beloved actor who's probably more respected than ever before, but he can't seem to land the big, lasting role. Enter Wolf Man. Affleck is physically imposing, dark-haired, tough, and (if we're being honest) always seems the littlest bit sad. He's really a stronger fit the more you consider it. A lot of the positives about Ben Affleck apply to Jake Gyllenhaal as well. He may not be physically imposing, but he's dark-toned, talented, and also seems to have the natural sad eyes that Affleck carries so effectively. He's never been part of a major franchise before, or even an attempt at one (sorry, I'm not counting PRINCE OF PERSIA: THE SANDS OF TIME), and he's probably at the height of his powers right about now. In case you missed it, 2015's DEMOLITION was one of his best performances yet. But most importantly, there's this photo of Gyllenhaal at a Madrid movie premiere. If that doesn't scream "Wolf Man," I'm not sure what would. The "McConaissance"—unofficially defined as the sudden and dramatic transformation of Matthew McConaughey's career into something pretty remarkable—has been pretty comprehensive. McConaughey was a deadly fugitive with a heart of gold in MUD; an inspirational (and Oscar-winning) AIDS patient and patient advocate in DALLAS BUYERS CLUB; a pioneering deep-space adventurer in INTERSTELLAR; and one of the greatest television characters of all time in TRUE DETECTIVE. That's all since 2012, and it's been a pretty amazing ride, ridiculous Lincoln commercials notwithstanding. One of the only things left for McConaughey to pull off is a monster, superhero, or horror role, and playing Wolf Man would kind of check all of these boxes rather than just one. He may not look initially like the most natural fit, but the man can certainly appear shaggy and unkempt when he wants to, and his big, expressive eyes can look appropriately wild. McConaughey could be a dark horse as an excellent Wolf Man candidate. There are plenty of other actors who also seem right for this role. Fan favorite Karl Urban would be an interesting choice if the studio wanted to go for a slightly smaller budget than what would be required for the four actors written about above. Mickey Rourke would be excellent if they wanted to go for an older take on the character, as would Richard Madden if they opted to go young. Whatever ends up happening, it's going to be fun to read about this casting process and see the film come together. The article above is a guest submission. Thanks for reading!